INTRODUCTION CYBERSECURITY holds the capacity to make or break any organization irrespective of its size. The meaning and relevance of the term cybersecurity is not limited to anything specific these days. The horizon of cybersecurity has enhanced its manifold to so many NETWORKS, DEVICES, and even TECHNOLOGIES that have embraced the internet. The innumerable online threats and vulnerabilities have made the need to safeguard digital assets with AGILE CYBERSECURITY SERVICES highly significant more than ever. Secures the business against cyber threats. Enhances the security of cyberspace. Increases cyber defense and cyber speed. Protects the confidential and personal information. Maintains the the privacy in networks and resources. Fights against identity theft and all sorts of possible cyber crimes. Traditional enterprise and industrial IoT network security solutions are heavily reliant on outmoded technologies that fail against advanced threats that utilize multiple attack vectors. As pure prevention becomes an unviable strategy, enterprises are shifting focus towards building rapid threat detection and response capabilities. How can previously undetected threats be swiftly discovered and escalated to relevant personnel for response? Zymr built a full-stack CloudTech cybersecurity manager capable of visualizing the threat matrix for enterprises, and providing actionable intelligence to manage these threats. 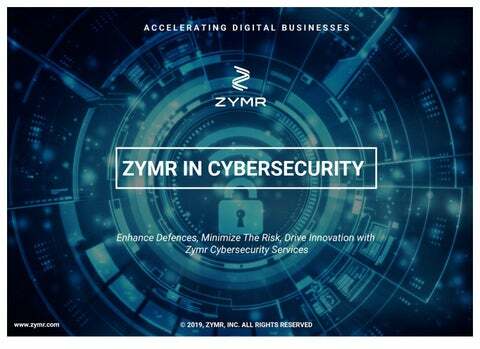 ZYMR CYBERSECURITY NEWS ZYMR DELIVERS SPLUNK & ZENDESK SNAPS FOR A LEADING CYBERSECURITY COMPANY Zymr has successfully developed feature-rich Splunk and ZenDesk apps for Virsec, a leading cloud workload protection Platform (CWPP) cybersecurity company. An innovative microservices-based snap architecture based on function-specific root-snaps, snaplets, and applets. Splunk and other systems can use these root-snaps to deliver fully integrated visibility and control over the Virsec platform. 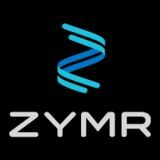 CONTACT US ZYMR SILICON VALLEY - H Q Zymr, Inc. 1798 Technology Drive, Suite-229, San Jose, CA 95110 USA +1-408-884-7100 hello@zymr.com SILICON VALLEY + INDIA Copyright Â© 2019 by Zymr, Inc. All rights reserved. Thank You SAFETY starts with awareness. AWARENESS starts with you.